This article provides a practical explanation of the term Corporate Social Responsibility (CSR). After reading this article, you will have better insight into the form of entrepreneurship aimed at economic achievement, with respect for the social side, within the ecological boundary conditions: the triple P approach. CSR stands for corporate social responsibility. Corporate Social Responsibility or CSR is mainly regarding entrepreneurship. It’s first and foremost about entrepreneurs and companies, but civilians, consumers or the government can also take part in this. However, there is a wide range of definitions for Corporate Social Responsibility or CSR due to the different interests that may be represented. An entrepreneur may define Corporate Social Responsibility or CSR as a business strategy while a governmental functionary views it as a voluntary regulation. Corporate Social Responsibility entails that companies take on the responsibility for social problems. Examples of this include: air pollution, climate change, labour conditions or ageing. Corporate Social Responsibility or CSR aims to ensure that the companies try not to increase these problems. Entrepreneurs that take this further, strive to contribute to solving these problems. Corporate Social Responsibility or CSR means that a business takes responsibility for the effects of its business activities on people, the environment and business operations. The company makes conscious choices to find a balance between People, Planet and Profit. Companies can take this one step further and focus on new market opportunities, growth and innovation that benefit people, society and the environment. Now and in the future. CSR is an integral vision of entrepreneurship, where the company creates value in the field of economy (profit), ecology (planet) and society (people). CSR are embedded within all business processes. The various interests of the parties involved are weighed in each business decision: the interests of the people, companies and organisations involved. CSR is customised. The CSR activities are different for each company. It depends on the size of the company, the sector, culture and business strategy. CSR is a process, not a destination. The objectives change through time and with every business decision. The company is looking for feasible steps to shape social responsibility. Differences in disciplinary backgrounds, perspectives and methods of academics who are involved in CSR. 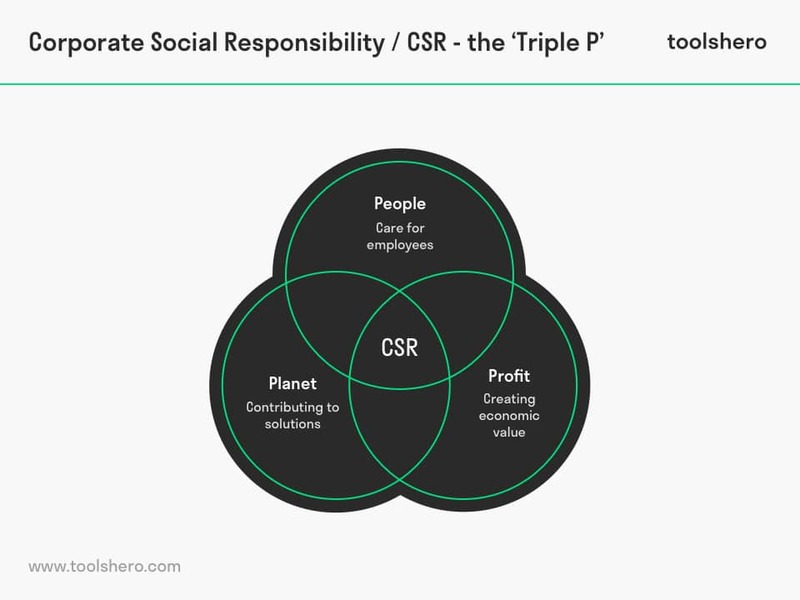 Three key terms are central in CSR: People, Planet and Profit (Triple P). The challenge is to find a good balance between these three values and to create value in all three fields. People represents the care for employees in the company, but also for society as whole. Examples include employee participation, good labour relations, but also the opportunities employees have to develop and human rights; a subject that international entrepreneurs may deal with. Planet represents a proactive attitude with regard to the natural environment and contributing to solving environmental problems. Aspects such as environmental management, chain management, life cycle analysis and eco-efficiency arise. It’s important that these environmental aspects are visible and transparent to everyone. Profit is not only regarding the company’s financial achievements, but is also regarding the economic effects of the business activities on the environment. An organisation is profit-oriented to secure the organisation’s future, given the fact that profit forms the financial basis for the enterprise. Therefore, the presence of profit is a condition to improve the dimensions people and planet. Why Corporate Social Responsibility or CSR? CSR contributes to the company’s financial achievements, particularly in the long term. The market plays an encouraging role as the demand for sustainable products and services is rising. Saving on energy use or the use of raw materials could be lucrative. Engaged companies have more motivated employees, which can lead to increased labour productivity. It is more often the case that companies are forced to engage in CSR (to a greater extent). This usually occurs under pressure of large purchasers, such as the government, large companies, consumer boycots, media scandals or strikes. If companies don’t adhere to the minimal societal standards, they can lose their license to operate. In addition to the fact that financial considerations or external pressure play a role in CSR, many companies engage in CSR because they wish to conduct business in a decent manner. They wish to contribute to society, pay attention to the satisfaction of their personnel and don’t want to be too straining on the environment. Participation in CSR follows logically, as they believe it is the right thing to do. Other names include ‘triple-P’ or ‘triple bottom line’. This means that, in addition to attention to the financial aspects of a company (profit), attention to the social (people) and environmental aspects (planet) are also included in Corporate Social Responsibility. What characterises CSR is finding the right balance between people, planet and profit. Raw materials disappear because many products are not or only partly reusable or recyclable. A circular model strives to ensure that all raw materials retain their value. Climate neutral entrepreneurship entails that only renewable raw materials or energy sources are used. Such as the wind and sun, so energy use doesn’t influence the climate. Social innovation is about smarter, more flexible and more dynamic entrepreneurship. It changes the way we work together to get the most out of ourselves and our work. Steps for Corporate Social Responsibility or CSR policy and implementation. When you want to start working with Corporate Social Responsibility or CSR, the following 4 steps are essential to a successful and supported CSR policy. A good Corporate Social Responsibility or CSR policy fits within the future plans of the company. It’s important that CSR becomes part of your mission and vision. You record what your company stands for and what course it wishes to follow in the field of people, planet and profit. In this way, you inspire colleagues and other stakeholders. Mission: A mission explains what the organisation stands for when it comes to corporate social responsibility. What role does the company want to play in society? Vision: A vision is required to make a mission concrete. What will your organisation aim for, what is its vision of the future? After a mission and vision have been formed, the company can use these as the basis for the CSR plan. With the CSR plan, the company determines how to carry out the mission and vision in practice. The CSR plan, mission and vision together form the basis for the CSR policy. Now that the mission, vision and CSR plan have been laid down, the company can take action. Finally, it’s important to discover whether the objectives were achieved, and whether possible adjustments are required due to changes in the environment. What do you think? Do you recognize the explanation about Corporate Social Responsibility or CSR or do you have anything to add? Which steps do you believe are essential to a successful and supported CSR policy? What do you believe are the success factors that contribute to these steps? Hopkins, M. (2016). CSR and Sustainability: From the Margins to the Mainstream. A Textbook. Bijlmakers, S. (2018). Corporate Social Responsibility. 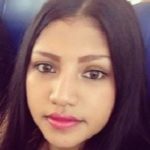 Human Rights and the Law. Bossink, B. & Masurel, E. (2017). Maatschappelijk verantwoord ondernemen.